Ainabkoi MP William Chepkut is among the many Kenyans who have expressed disappointment in Kapseret MP Oscar Sudi over his latest remarks that are filled with division politics. Chepkut has called off Sudi stating that he has no obligation to speak on behalf of those who are not ready to fight anyone on political matters. Taking to his Twitter handle on Monday afternoon, the Ainabkoi legislator has warned Sudi against such talks and advised him to speak on behalf of himself and family. He added that if Sudi continues wagging war contemplating to speak as an agent of the Kalenjin community, he should front his wife and children then deploy them to Kisimayu and fight with the Somali based militia group Al-Shabab. Oscar Sudi trying to please his master has no Audacity to speak on behalf of us kalenjins who are not ready to fight anyone even a statue of a kikuyu figure. If Oscar sudi wants war let him arm his children and wife then deploy them to Kisimayu for a half a day. The Rift Valley MP has accused ODM leader Raila Odinga and Baringo Senator Gideon of scheming to derail Deputy President William Ruto’s bid to win the Presidency in 2022. 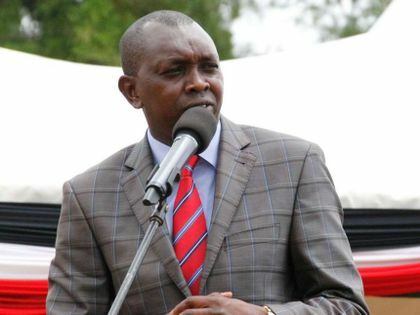 Kapseret MP Oscar Sudi said the two were scheming to break up Jubilee so that the Deputy President does not succeed President Uhuru Kenyatta when his term ends. Sudi, a close ally of the DP, has lately been outspoken against the truce between Ruto and Raila. He wants the handshake between the President and the Opposition chief to end, saying it is causing more disunity rather than advancing peace. The post MP Sudi advised to deploy his family to Kismayu appeared first on Kenya Today.